Each year our children grow older and we as parents, hopefully, grow wiser. With our oldest being 7, soon to turn 8, and 3 (plus one more on the way – bring on the basketball court, we’re looking at a full 5-player Team Taliaferro soon), there are some parenting dos and don’ts we’ve figured out. We’ve established some basic family rules, we have rituals and traditions. Our kids understand that we are a family. We stick together, we work together, we laugh together, and most importantly, we love each other. There are some days that I feel like we’ve got this. We’ve figured out where our kids are, we have a good idea of what they are struggling with, what they are passionate about, and what brings them joy. But then, as always happens, the seasons change. The toddler makes a new developmental leap, the 4 (or 6 or 7) year old discovers a new boundary or rule they would like to challenge. And it’s like we are back to our early parenting days where everything was trial and error, challenge and discovery, frustration and attempts at good communication. One thing that I’m coming to notice is that though our children go through different stages and seasons of life, and will go through many more that we haven’t experienced yet, some things stay the same. Our love for our children, their need for our love and encouragement and their desire to do good. The who, what, when, where and whys may change, but these things have stayed the same. Part of this stability, I believe, is because from the first days of Ben’s and my marriage we intentionally put God in the center of it all. In our culture today, God is often an afterthought, or someone reserved for Sunday mornings. God is there when we need something or are going through some kind of struggle, but once the thing is received or the struggle is over, so goes our connection to God. This isn’t what we wanted for our family. Both being raised Catholic, choosing to continue in our faith as individuals and then to receive the Sacrament of Marriage, we had some intuitive wisdom to rely on when it came to building a family culture. And, until recently, I haven’t thought very concretely about how these choices have impacted our family. Why is it important to share a meal? What are effective discipline techniques? How do you communicate with your spouse and how is that different from your children? What is a family culture and what does your family culture look like? How do your children best experience the divine? These videos are very impactful and are full – I mean really, really full! – of great ideas, tips, exercises and things to consider for your own unique family. The vast majority of the videos are no more than 10 minutes, many are under 6. Patrick systematically walks through family life, exploring the nuances and often not-so-subtle details of many people living under one roof. Through the series, viewers take the time to consider each member of their family, be you a newly married couple or seasoned veterans with any number of children at any ages. What are everyone’s strengths, weaknesses, vices, good habits, perspectives and ways of relating to God? What is our family culture, what kind of boundaries do we have for all the members, not just the children? What expectations do we have of one another, how do we treat each other, what is our collective family goal or mission? How are we striving for holiness within our family and within our wider community? This series isn’t at all theoretical. Patrick offers real examples from his own family experiences as well as general situations from which lessons can be learned. I have greatly appreciated the practical wisdom that have come from watching these videos. However I will say, since the videos are short it’s easy to watch one too many and become overwhelmed with ideas that you can’t implement all at once. Keep a notebook handy, there’s always something to write down to talk about later. These DVD’s would be great for a couple, or a group of couples, to watch together over a period of time. Again, the videos are short but impactful so there is lots to discuss from watching one or two, depending on the topic and your family situation. For example, a couple who has recently baptized their first baby will definitely get a lot out of the early videos when Patrick talks about communication and building an intentional family culture. They may find the section on discipline interesting and certainly worth paying attention to, but not directly pertinent to their present situation…yet. 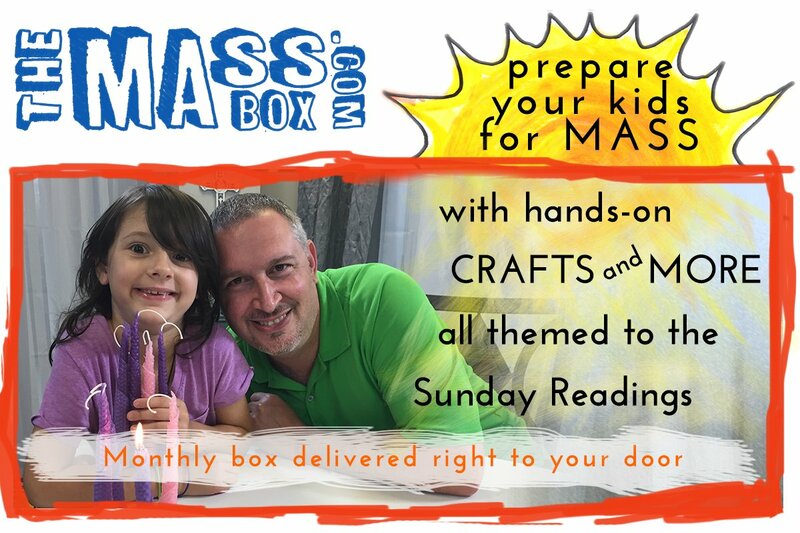 These would also work very well as part of an extended family catechesis series or moms’ group where the attention spans of little ones precludes some of the longer video series available. If you or your parish are interested in finding out more about the Me & My House series, head over to Evango.net/house or click on any of the links here. There are some introductory videos that give you a good feel for what the series is about and how it flows. There is also a Leader’s Guide, Participant Guide, print book, and other accompanying resources which will be available soon. As a bonus, use the coupon code SINGSONG and you’ll receive $15 off the DVD set. These videos have encouraged me to take a closer look at the practices and rituals of our family life. For some of the videos I found myself nodding my head, saying things like “Yes! Nailed that!” For others, I really had to pause and say, “Wow, we are missing out on an opportunity here. I haven’t considered this before.” There are some ideas I know I want to try to implement right away, like hobby time and asking my kids on a frequent basis, “Who are you praying for?” and “How are you praying for them?”I’m happy to have these videos to reference as we continue in our seasons of change and transition. While we all grow and change, our love for each other and for God will, I dearly hope, only continue to grow. The Me & My House series is definitely encouraging us in the right direction.